Jack joined StreetSquash in 2016. He graduated from Bard College with a BA in Film Production. 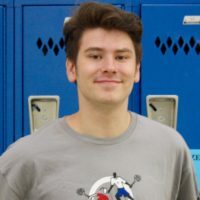 While at Bard, Jack was the captain of the varsity squash team his junior and senior year as well as a junior coaching assistant. Jack volunteered in the StreetSquash Summer Discovery Program before joining the staff full-time.